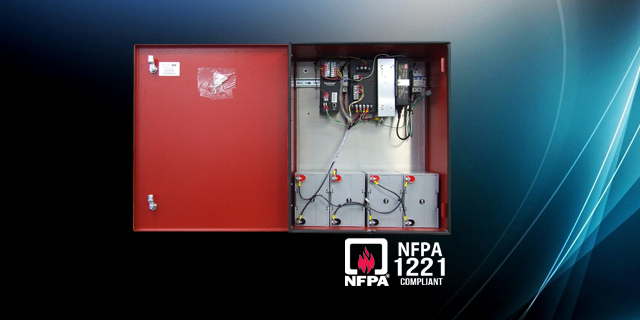 Public Safety Power Enclosures are specifically designed to meet the requirements of the NFPA for mission critical and public safety DAS, BDA, and fiber systems. The DP-10i-100-MU Centri Series electronic fuse distribution panel is a rack mount (1U) power distribution panel that provides up to 10 load circuits protected by individual electronic fuses. 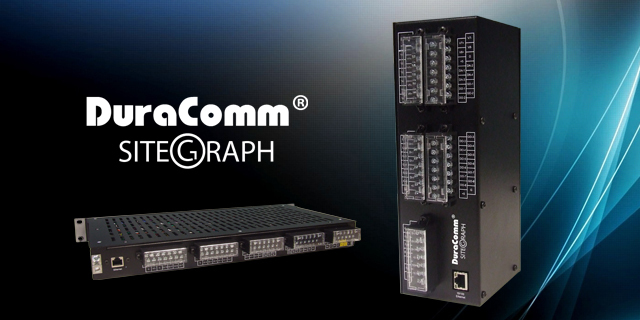 The SiteGraph is the next generation of DuraComm’s popular Site Centri remote monitoring and control units. It improves on our original design providing more inputs and outputs along with microvolt resolution and web-based data graphing. 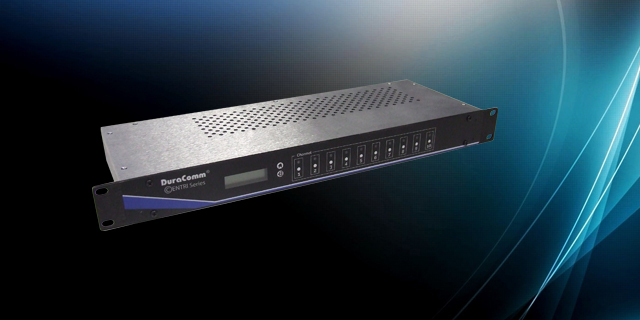 DuraComm’s redesigned Centri Series fully integrates our SiteCentri remote monitoring and control unit into our HE1U power supplies adding internal relay protection and a status screen for easy setup and on-site monitoring as well as the remote monitoring and control functions of our SiteCentri unit. No Drop Ship or Minimum Order Fees! 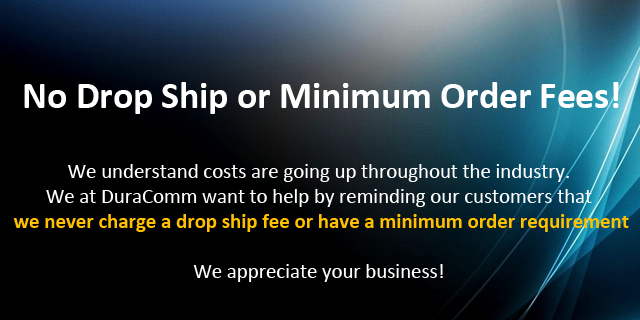 We never charge a drop ship fee or have a minimum order requirement! 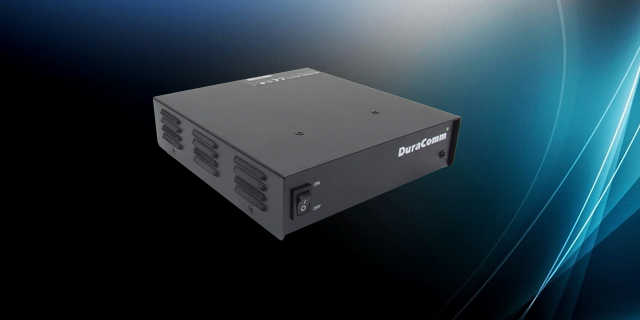 The LPX Series is the next generation of DuraComm’s popular and reliable LP desktop power supply. We enhanced the electronic filtering and noise shielding, added auto ranging AC input, and adjustable DC output, all while maintaining the rugged 7 inch standard design. The improved efficiency meets DoE level VI green energy standards. When nothing is standard about your application, DuraComm sets the standard with customer specific design to solve unique challenges. Founded in Sep. 1992, DuraComm Power Supplies is a worldwide recognized leader in ultra-reliable AC -to-DC switch mode power supplies commonly used in the communications industry. Our line of products also includes DC-to-DC power converters, battery management and charging systems, power distribution, and complementary accessories. Today, DuraComm ships its products throughout the United States and to other countries worldwide. 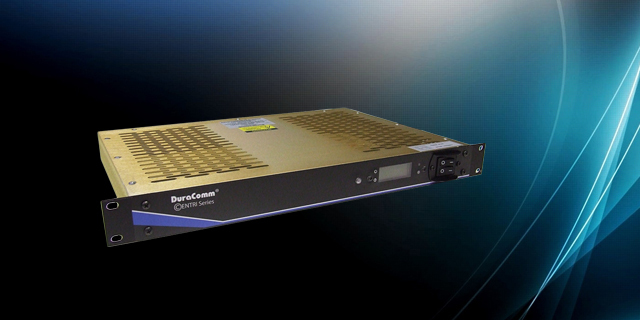 DuraComm markets an extensive portfolio of OEM/Industrial power supplies for a variety of applications and needs. From simple desktop units to sophisticated rack mount battery management systems, we have a complete line of products ready to ship out of our warehouse in Kansas City, Missouri. As we have grown over the last 20 years, so has our “build to order” business. Customers have learned that sometimes “stock product” is not exactly what they need. Fortunately, our modular approach and talented design staff make a terrific team to satisfy those unique requirements in a timely and cost effective way. Over the years, DuraComm has provided Telecom, Utility, Rail/ Transportation and Land Mobile Radio Professionals with a range of products including 12, 24, & 48 Volt rack mount power supplies, Power Distribution products, and battery chargers. Our approach is to offer a complete power solution with full customer service and satisfaction. Our Cornerstone OEM customers include Kenwood Systems, Motorola, and Harris Corp.
We look forward to the opportunity to engage with you and learn further about your needs and how we can fulfill them.